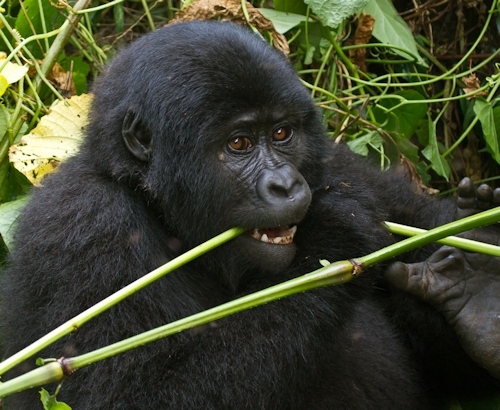 Rwanda, Uganda Gorillas and Botswana Eco-tour – The Great Canadian Travel Co.
Limited availability! 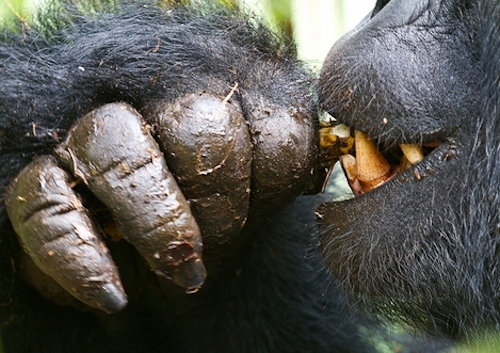 Rwanda, Uganda and Botswana – these three fascinating countries combine to create an experience offering a myriad of wildlife viewing, including the remote, majestic gorillas of Bwindi. Make an inquiry to find out the next available departure dates. Prices are shown in US$, per person based on two people sharing a twin room. Single occupancy rates may be available, on request. Dinner and overnight at Chez Lando Hotel. The quaint garden-style hotel is located just five minutes from Kigali International Airport. After breakfast transfer to the airport for your morning flight to Johannesburg. While not included in the tour price we will book the flight for you to ensure the whole group travels together. The airfare cost will be quoted to you as an additional charge to be added to your package price and collected at the time of your deposit. You are free to book your own accommodation in Johannesburg or we can book you in at the Holiday Inn, Johannesburg Airport. This hotel offers free airport transfers and offers double rooms at approximately CA$130/night, breakfast included. After breakfast transfer to the airport for your late morning flight to Maun, Botswana. While not included in the tour price we will book the flight for you to ensure the whole group travels together. The airfare cost will be quoted to you as an additional charge to be added to your package price and collected at the time of your deposit. You are met on arrival at Maun airport and transferred by light aircraft to Kwara Camp, where you will stay for 3 nights in tented rooms with en-suite, on an all-inclusive basis (excluding premium, imported alcohol). Enjoy an afternoon high tea and a late afternoon game drive today. Kwara Camp is in the remote northern part of the Okavango Delta within the private Kwara concession. The camp fronts onto a huge floodplain, adjacent to the permanent water of the Delta and is backed by extensive bush. 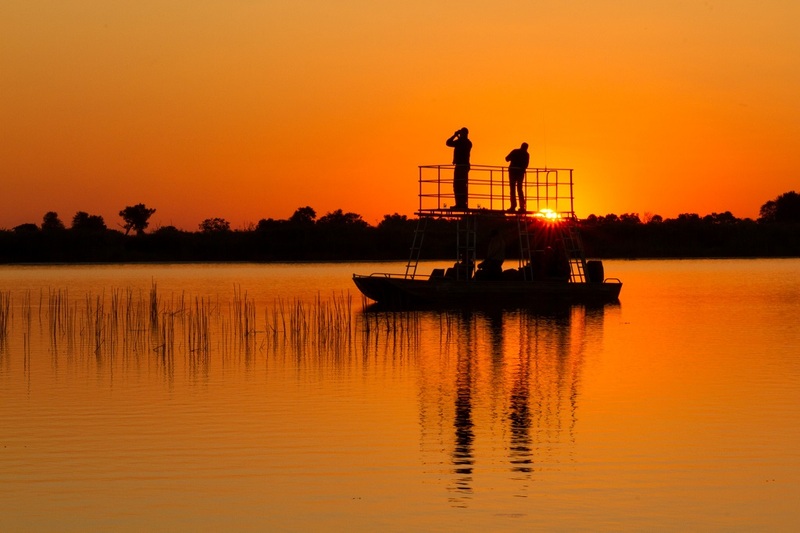 It is a wilderness area more than 1,700 square kilometres, bordering the Moremi Reserve. Kwara encompasses a wide diversity of habitats, ranging from the clear Delta waters with reed-lined lagoons and channels, to open grasslands, mopane woodlands and palm-fringed islands. 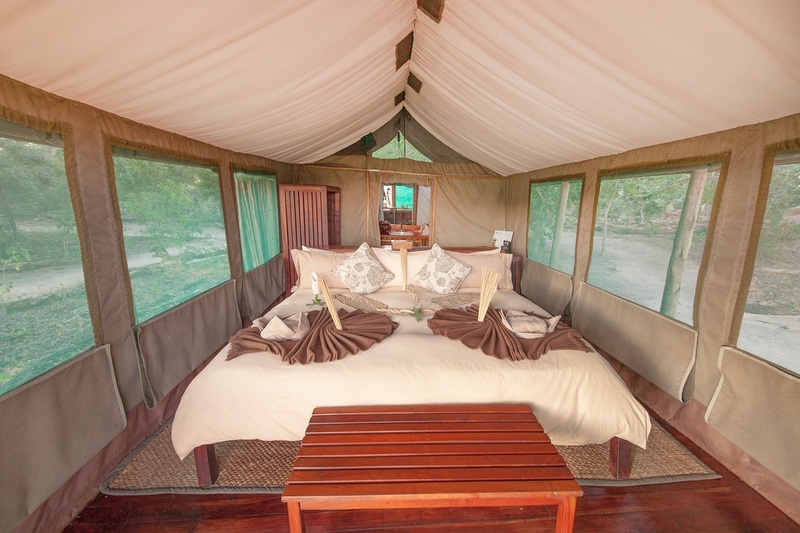 The 8 luxury safari-style tents are built on raised decks, within a grove of huge and ancient African Ebony trees. Each tent has its own viewing deck, private en-suite facilities including hot and cold running showers, flush toilets and modern amenities. At Kwara Camp you can enjoy a diverse wildlife experience all year-round, but the focus is on the water, gliding along in the special silence of a mekoro through crystal-clear waters or visiting the famous Godikwe lagoon, literally eye to eye with thousands of herons, storks and other nesting birds. islands and night drives in addition to morning and afternoon drives. The Kwara Camp area is also home to a variety of wild animals including, lechwe, sitatunga, reedbuck, bushbuck, hippo, crocodiles, elephant, buffalo, sable, roan, zebra, giraffe, wildebeest, impala and tsessebe. Lion, hyena, wild dog, leopard and cheetah are abundant in this part of the Delta and regularly seen. Take in some activities this morning prior to departing by light aircraft to Lebala Camp, where you will stay for 3 nights in tented rooms with en-suite, on an all-inclusive basis (excluding premium, imported alcohol). You will be met on arrival by camp personnel and will enjoy afternoon high tea and a late afternoon game drive. Lebala means wide open spaces in Setswana and the scenery around Kwando Lebala Camp is dominated by vast plains with scattered palms and tree clumps backed by wooded savannas. This wild expanse is contrasted with the casual elegance and luxury of the camp itself. 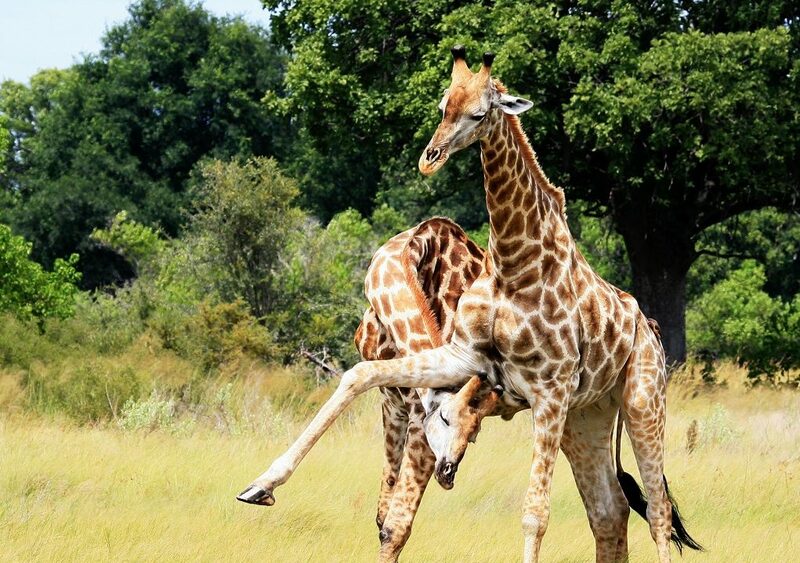 Lebala Camp is situated 30 kilometres to the south of Kwando Lagoon Camp and fronts onto the Linyanti Wetlands of Chobe National Park. The 8 spacious tents are unique and were designed specifically for this camp. Each is built on a raised teak deck, laid out for comfort and privacy. The tents have an entrance foyer with a reading and writing area, en-suite bathrooms with Victorian claw-foot bathtubs, “his and hers” washbasins and flush toilets. The bathrooms lead out to a reed enclosed open-air shower with hot and cold running water, powered by gas for hot water on demand. Each secluded tent has its own sundeck, and is set back among the trees. The endless vistas from the large windows and decks across the vast plains, make Lebala one of the finest ‘in the middle of nowhere “camps in Africa. Take in some activities this morning prior to departing by light aircraft to Kasane, where our safari program ends. You may choose to add on a stay in Victoria Falls. There is a direct road link from Kasane Airport to Victoria Falls. The Kazungula Road Border Post, about 10 minutes drive from the airport, links Kasane, Botswana to Victoria Falls, Zimbabwe. Your Zimbabwean visa is obtained at the border post. From here it is about a one hour drive to Victoria Falls. We offer stays at the Shearwater Explorers Village, a base camp ideally located in Victoria Falls town. Chalet accommodation starts at US$60 per person on a twin-share basis, including breakfast daily. 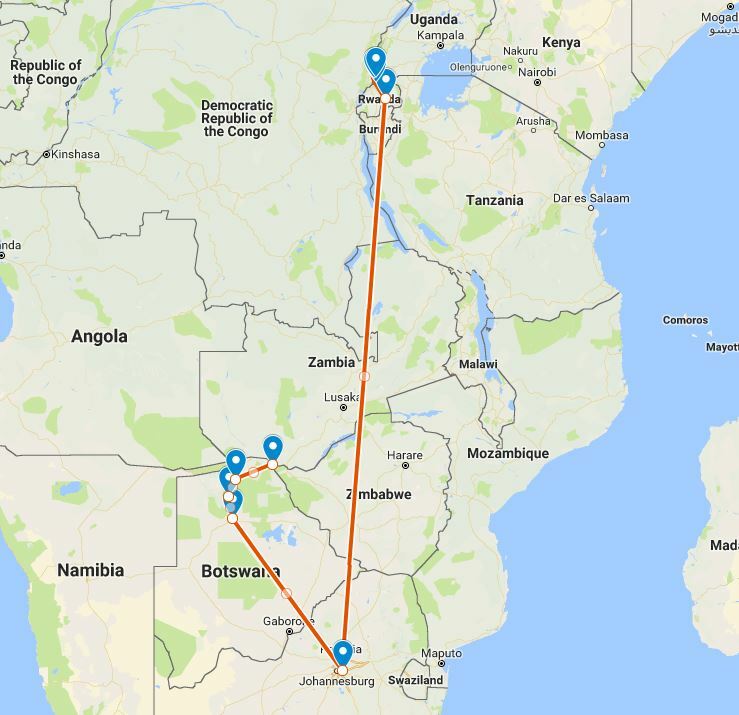 Alternatively, if you are heading to Livingstone, either to catch a flight or spend a few days sightseeing, the transfer from Kasane Airport isn’t just a run of the mill trip by bus, it’s part of the adventure! The transfer includes a short 10 minute drive to the Kazungula ferry terminal. A small speed boat ferries you across the Zambezi River to Zambia, where your visa is obtained. After immigration clearance you’ll continue on from Kazangula to Livingstone by road, approximately a one-hour drive. You can choose to spend a few days experiencing this diverse and beautiful area staying in either Victoria Falls or Livingstone, with the highlight of course being the famous falls! Many interesting day tours and activities are offered, with advance reservations recommended. Numerous accommodation options are available. Please inquire. Transfer by air to Hwange National Park, Zimbabwe to Little Makalolo Camp. 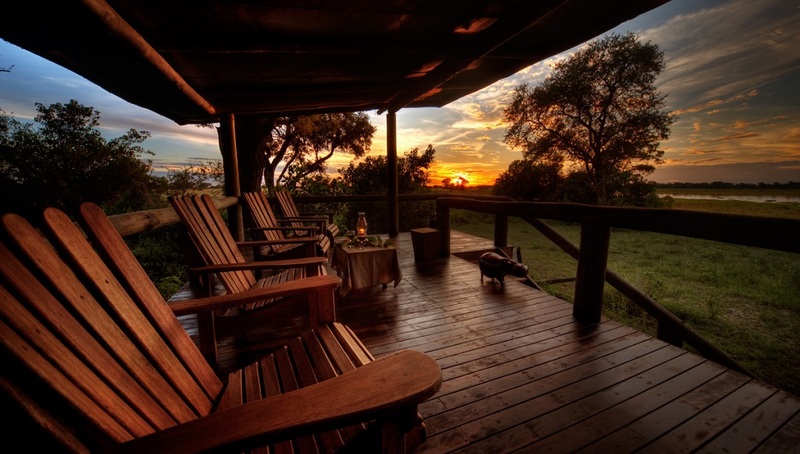 Situated in a remote and private concession within the vast and iconic Hwange National Park, Little Makalolo is one of the few camps built within the park boundaries. Legendary for its array of wildlife, particularly massive herds of elephant and buffalo, you can expect a holiday of a lifetime. Our smiling staff will welcome you into your luxurious ensuite safari-style tent nestled in the treeline. A productive waterhole in front of camp will offer you hours of entertainment from our raised platform or plunge pool, while the lounge and dining areas will provide you with shaded relaxation. With space for only for 12 guests in camp, Little Makalolo is a place of well-being and seclusion. Prices for the 4 day/3 night Little Makalolo extension start at US$2,620 per person, based on two people sharing accommodation. 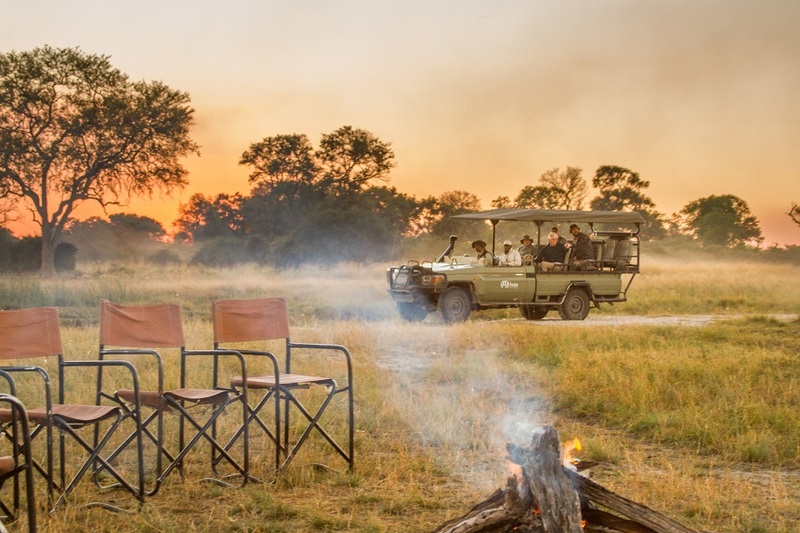 The price includes round trip flights between Victoria Falls and Little Makalolo, Hwange National Park; accommodation in tented room; all meals and drinks at camp (excluding premium, imported alcohol and champagne); guided safari drives; services of camp guides and staff. Fly from Victoria Falls to the playground of South Africa, Cape Town. Known as one of, if not the most beautiful city in the world, Cape Town really does offer it all, from ocean side beaches, to stunning views from the surrounding mountains, to excellent wine from many nearby vineyards and breathtaking coastal drives. A great escape from the cold winter weather in Canada and the Northern US. A wide variety of accommodation is available, starting at just CA$145 per night for a double room at the Dale Court Guest House right up to luxurious 5 star hotels. Excellent and interesting day tours are on offer in the city and surrounding countryside.